Qasar Younis and Peter Ludwig are incredible engineers and entrepreneurs. Today they are publicly unveiling their new company, Applied Intuition, and I am proud Lux Capital is an investor and a partner with them in their Series A financing. Other investors include A16Z (Marc Andreesen), FloodGate (Mike Maples), John Doerr, Semil Shah, Naval Ravikant, Elad Gil, Arjun Sethi, SV Angel and Neeraj Arora. Lux Capital is a firm believer in the future of autonomous systems, and have made numerous investments in land, air, and sea autonomous vehicles. On the land transportation side, we are lead investors in full-stack autonomous car and mobility company Zoox, advanced-sensor technologies for perception/navigation at Aeva, and several companies enabling edge AI computing such as Nervana (acq by Intel), Mythic, and FlexLogix. Autonomy is the future of our transportation system, and Applied Intuition is building a core part of the infrastructure to enable that: Simulation — for the development, testing, certification, and operation of successful autonomous vehicles and fleets. Autonomous vehicles are instrumented with a multitude of sensors that develop tons of data under various road, traffic conditions to help autonomy engineers train their models for dealing with future events and scenarios. However, doing so with just real world data is a tedious, time consuming, and expensive process…and still fails to fully account for all the edge cases that could be encountered. Simulation allows for car-makers and autonomy engineers to ‘drive’ millions of miles overnight, and test and train for all kinds of edge cases that a car or a human could ever encounter. Advanced simulation systems allow for multi-sensor data to be matched, compared, modeled, iterated, altered, and re-modeled as many times as necessary to build a robust and repeatable understanding of how the autonomous vehicle would sense, detect, and react to a near-infinite number of drive scenarios. The pace of technology development is so incredibly fast these days that some times it feels like we might be living in the future already. Availability of autonomous cars is the future we want — the benefits are just so many — but success for this industry relies on the participating players to build safety, redundancy, and reliability into the product at all levels. And Applied Intuition’s simulation tools and software allow automotive companies to prepare their systems to deal with an extremely complex real world. Their website highlights some of the use-cases, for example: a multi-national OEM accelerating their AV engineering efforts, a self-driving trucks company ensuring vehicle safety and controllability, or a Tier 1 supplier tuning parameters for performance and comfort in Level 2 or 3 vehicles. 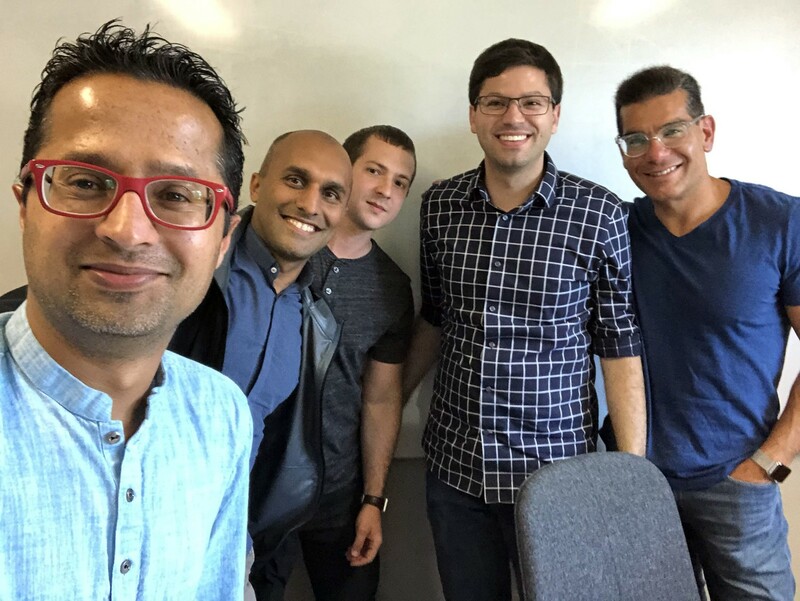 As entrepreneurs, Qasar and Peter are no doubt on a mission to build an amazing company, but as former automotive engineers they are also on a mission to propel humanity forward by accelerating transportation autonomy development and deployment. It has been a joy to work with them so far…and the journey is only just getting started.